Nendoroid Fate Testarossa: Blaze Form Edition is finally announced and previewed by Mikatan today. The prototype of this fully posable Nendoroid was supposed to feature in the Summer WonFes. 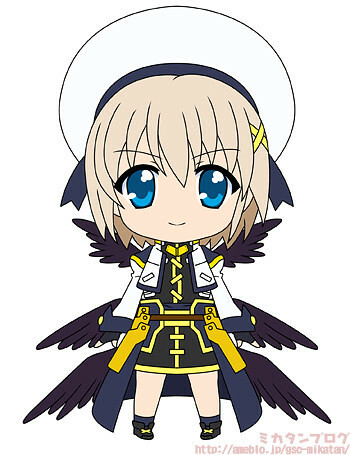 Her design is based on Magical Girl Lyrical Nanoha The MOVIE 2nd A’s. Fate will bring along her trusty intelligent device, Bardiche in Assault Zanber form, nonetheless. She will also come with three expressions: default (smiling), shouting, and closed eyes. Her cape can be moved around to the left and right, but you can also remove it if you want to display her without her cape. Nendoroid Fate Testarossa: Blaze Form Edition will be up for pre-order on November 29th. 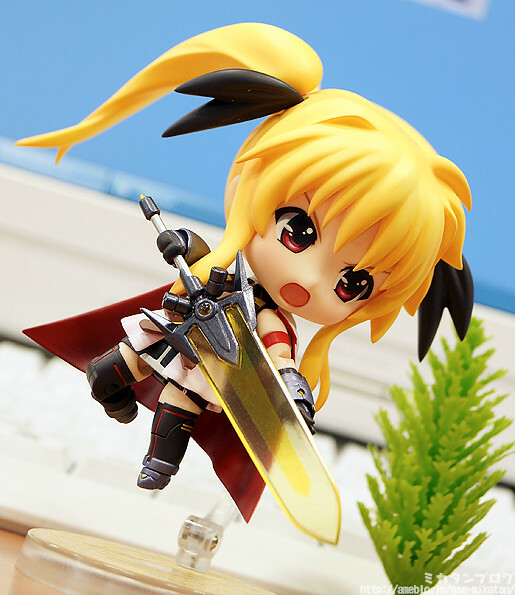 This entry was posted in News and tagged fate testarossa, fully posable, mahou shoujo lyrical nanoha, nendoroid.